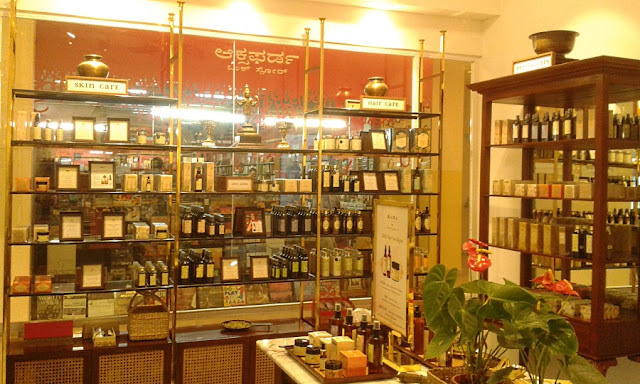 KAMA AYURVEDA opens a store IN BANGALORE ! 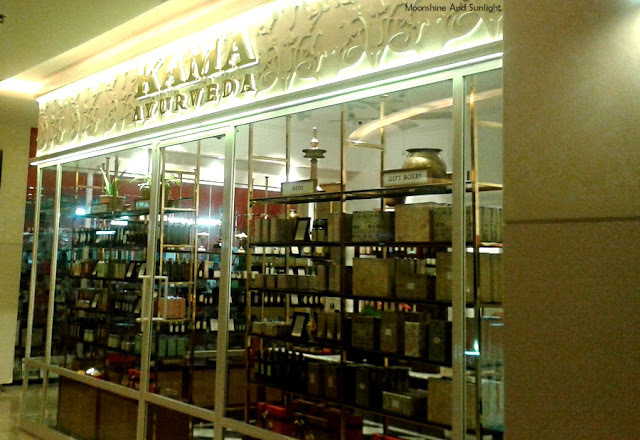 Kama Ayurveda is without doubts one of my favorite brands when it comes to skincare and I was super excited back when they had opened a store in Kolkata! Imagine my delight when they opened a new Kama Ayurveda store at 1 MG road Mall in Bangalore! Ah yes! You read that right! They have opened a new store in Bangalore and the store is as beautiful as their other stores! 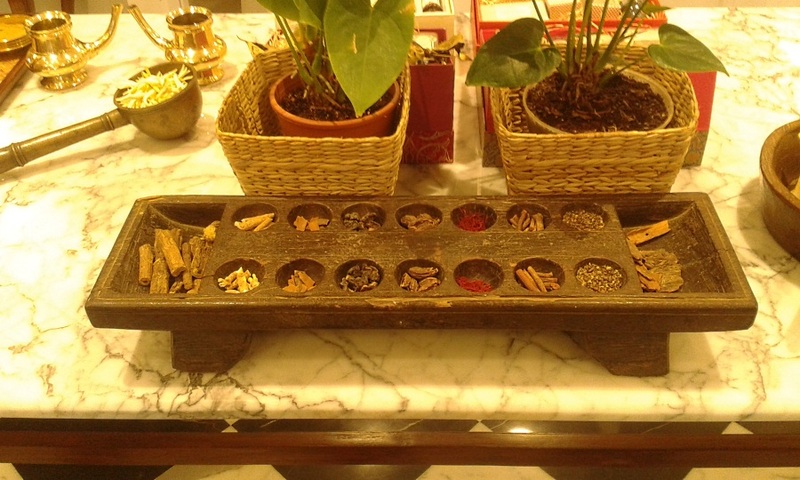 Vintage-y feeling, gorgeous décor and a touch of luxury to seal the whole deal, that’s what I feel about all Kama stores! They have an online shop and you can buy their products anytime you want from their online store but shopping from their outlets is a different experience altogether. Their store staffs make all the difference. The people are friendly and warm and can help you with your requirements. You can also try their products there and see what you want! 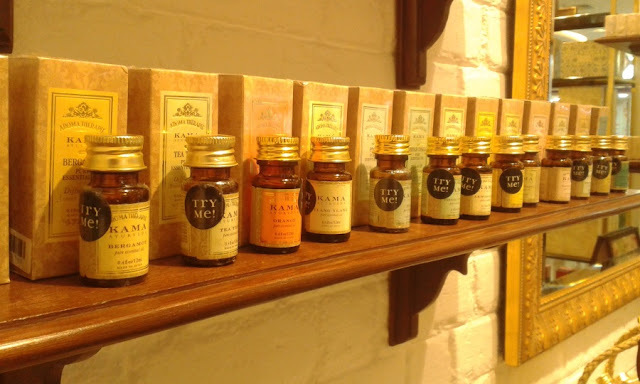 I would say you give their products a try at the stores before you buy them because these are Ayurvedic products and may have some stuff that you don’t like, for example smell or some sort of allergy maybe ! , plus these are a little on the pricey side so better to try the products before buying and wasting good stuff! So at the store you will come across some lovely SAs and they will help you find out what you need according to your problems and requirements! As far as I am concerned I am sorted (happily so!) 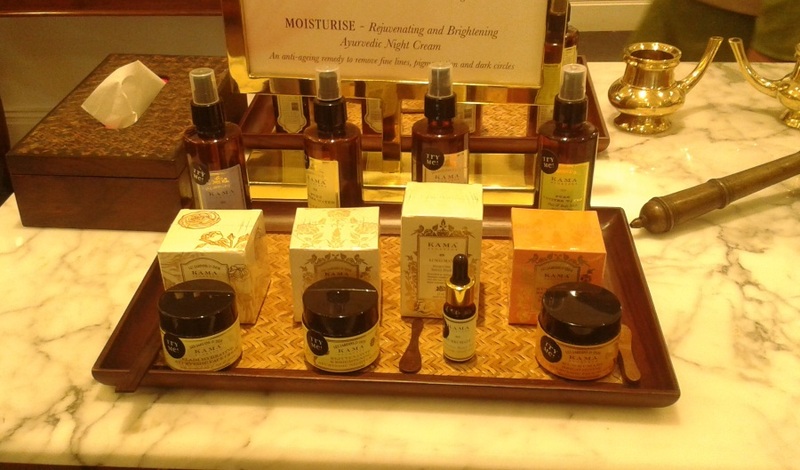 that I can drop by their store anytime I like and get my essentials (their rose water being my ABSOLUTE must have!) and who am I kidding, shopping from stores is so much fun than buying stuff online! 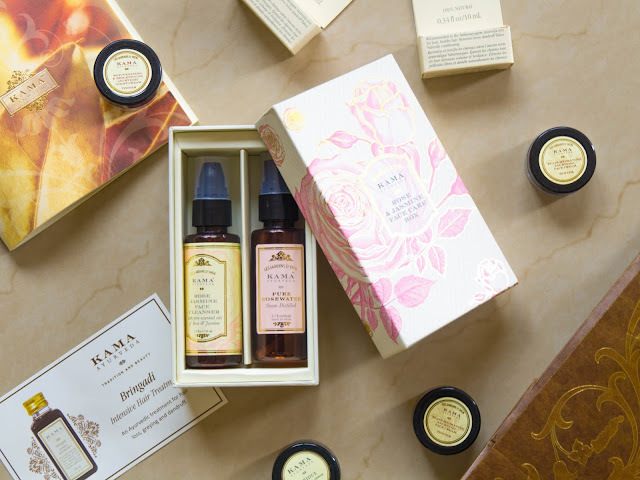 They were sweet enough to help me some samples of my favorite products for traveling and this pretty box which has the Rose and Jasmine cleanser and the Steam distilled Rose Water which I swear by (I think you know that!!)! 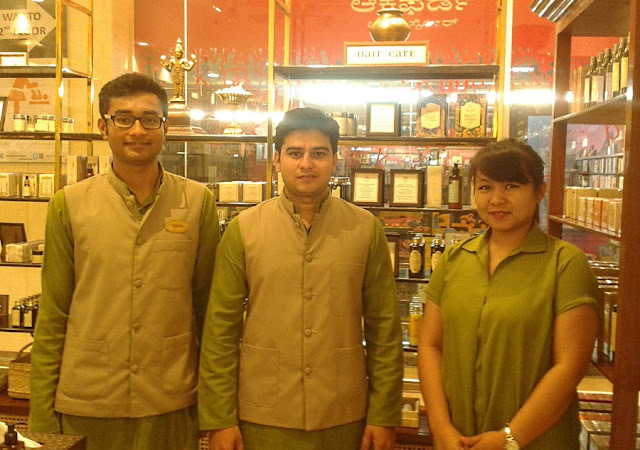 Now that I have told you about this store in Bangalore, what are you going to shop from there?? 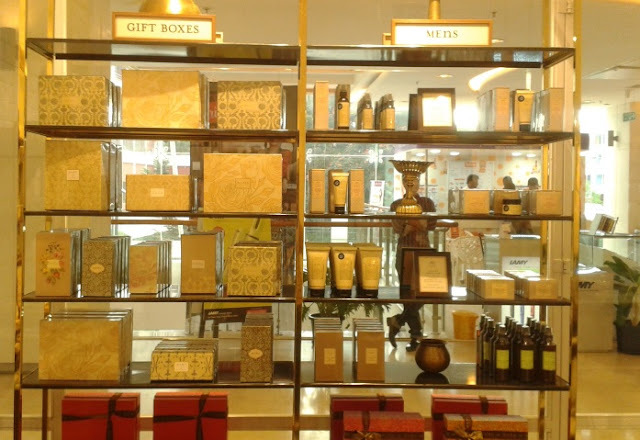 Let me know what you pick up when you visit this store in Bangalore!